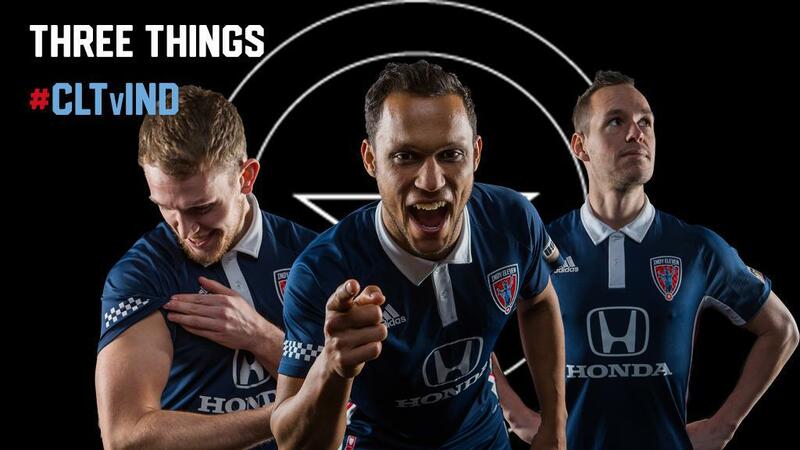 Unfortunately for Indy Eleven fans, a commemorative shirt celebrating the first points of the 2019 season will not be released after Indy Eleven defeated Charlotte Independence 3-2 last Friday. The Boys in Blue jumped out to a quick lead 12 minutes into the game with a screamer from defender Macauley “Macca” King. Three minutes later, midfielder Tyler Gibson doubled the lead after a scrum in Charlotte’s 18-yard box. Forward Thomas Enevoldsen netted the third from a corner kick 10 minutes after the hour mark. Charlotte was able to score twice, but Indiana’s Team was able to stave off the last minute efforts by Charlotte to find a leveler. Indy now gets two full weeks to recover before taking on Hartford Athletic in the home opener. It seems the key to starting the season on the front foot is biking to work every day, at least for Indy Eleven midfielder Kenney Walker. Walker, who rides his bike to training and on the return leg home, has made an immediate impact in Indy‘s midfield. The 30-year-old provided two assists in the 3-2 victory over Charlotte Independence, bringing his 2019 season assist tally to three and equaling his 2018 total. Walker’s vision helped him find a switch pass to King in the 12th minute, who fired home a driven shot. The Ohio native then went on to nab a second assist from a corner, this time finding Enevoldsen for a one-touch volley in Charlotte’s penalty area. Walker has now assisted twice from corner kicks and once from the run of play. Three new Boys in Blue opened their scoring accounts with Indy Eleven last time out, netting their first ever goals for the club. King found the first goal of the game against Charlotte and the first of his Indy Eleven career in style. King blasted a switch field pass past Charlotte’s ‘keeper into the top, right corner of the net. New in Blue Gibson found his first goal for Indy Eleven off the run of play in quick succession following King’s debut strike. The goal was his first USL Championship goal since debuting in the league last season with FC Cincinnati. Gibson made seven late regular season appearances in 2018 after suffering a broken leg prior to the start of the season. Gibson’s goal comes in addition to his ability to move the ball through the midfield, having completed over 90 percent of his passes in his first two starts of the year. Forward and 2018 Golden Boot runner-up Enevoldsen displayed his class when he scored his first goal for Indiana’s Team. The 31-year old Dane volleyed home a Walker corner kick from an extremely difficult angle. Fellow forward Dane Kelly nearly opened his account again, striking the woodwork for the second time in as many games. Indy Eleven return to Lucas Oil Stadium for the club’s Home Opener on Saturday, March 30 at 7:00 p.m., taking on USL Championship newcomers Hartford Athletic. Tickets are available for as low as $15 at IndyEleven.com/Tickets or by calling 317-685-1100.